The latest project from Lizardcube, developer of the acclaimed HD remake of Sega’s Wonder Boy III: The Dragon’s Trap, Streets Of Rage 4 (platforms and release date as yet unannounced) is the long-awaited continuation of the 16-bit beat-em-up series. 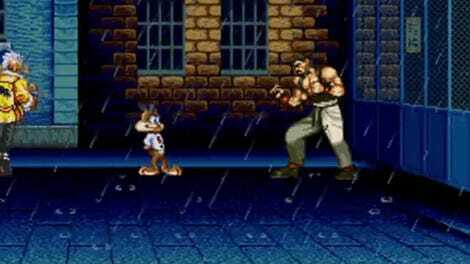 Back in the 90s, Streets of Rage was Sega’s first-party rival to Final Fight and Double Dragon. 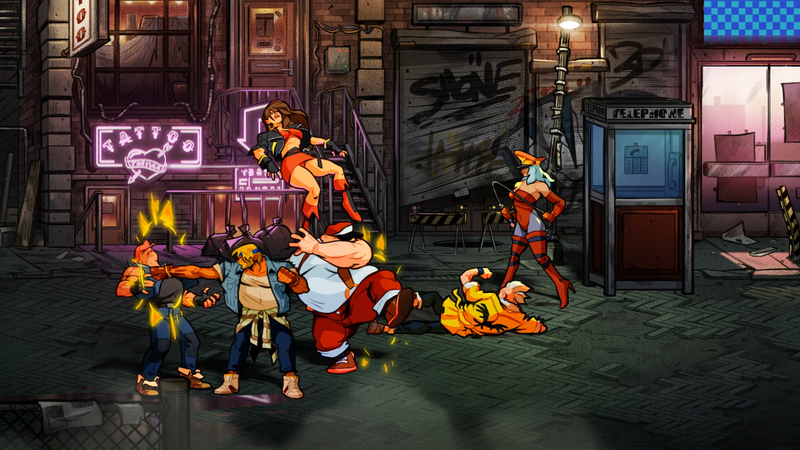 These games have entered “cherished” status in the decades since their release, so any sequel, the first new Streets of Rage since 1994, has big shoes to fill. It’s impossible to tell from a one-level demo whether or not it will succeed, or whether the beat-em-up genre has any gas left in it at all in 2019. From what I played at the Game Developers Conference last week in advance of its public debut at PAX East this weekend, it seems to be coming along well. 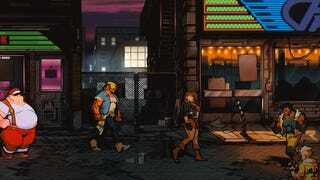 Walking to the right and slamming your fist into anything that isn’t part of the background layer is a familiar video game pastime, and so Streets Of Rage 4 doesn’t have much of an initial learning curve. Jump-kick a street thug, smash a phone booth, eat an entire steaming turkey that you pulled out of a garbage can. It’s all rendered in very pretty cartoon art with a hand-drawn style. The music in the demo, the developer said, was still “placeholder.” I hope they can recruit series maestro Yuzo Koshiro to score this one, too. There’s definitely an emphasis on collaboration with your co-op partner, should you choose to have one. You can grab enemies and toss them to your pal, who can knock them out of the air, for example. In general there seems to be a lot of techniques you can use to dispatch foes more elegantly than just walking up to them and punching. You can punch a thrown knife out of the air, for example, or throw a crowbar, let it bounce off an enemy’s skull, then catch it again. You can double-tap the D-pad forward and hit the attack button to unleash a more powerful punch. You can start with weak punches and then combo them into that more powerful attack, too. The screen-clearing “special” attacks of Streets Of Rages past are now “star” attacks, and you can gain more of them by finding stars scattered around the level. At one point, I smashed a car for a while until it exploded, revealing a star. There’s also friendly fire, and it can’t be turned off. Punch your co-op partner and they will take damage, if only a tiny bit. It’s all part of the game, says the developer; you’ve got to constantly make sure you’re positioning yourself well on the screen.